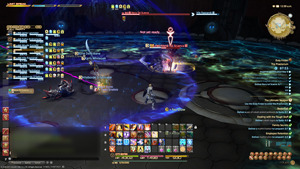 This dungeon is required to advance in the story line, in fact it is the very last quest called, "The Ultimate Weapon". Your reward for completing this quest is a Magitek mount! With the magitek field now out of commission, the path to the Ultima Weapon lies open. 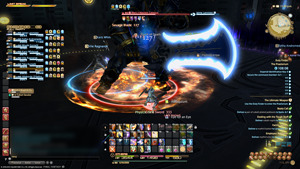 While the Immortal Flames sweep Castrum Meridianum and suppress the remnants of the enemy garrison, you and your comrades must fight your way to the innermost sector of the Praetorium, there to locate and destroy the Ultima Weapon. Cid's airship, the Enterprise, will bear you to the stage of the final countdown. Once you begin the quest you will be at the entrance of the innermost sector of the Praetorium. All of the trash mobs are relatively easy; mostly Imperial Elites and Magitek Reaper type monsters. There is quite a bit of trash before the 1st boss, so get comfortable. You will have to fight trash as they will drop 'Imperial Identification Cards' that are needed to advance into each sector. The first boss is just a huge magitek called, Mark II Magitek Colossus. This is a very easy fight and basically just tank and spank. The main tank should pull the boss to a corner and keep him faced away from the party at all times. The 2nd tank can even go DPS to help make the fight go faster as there really isn't any need for two tanks. The Colossus has a few abilities but nothing that will one shot you. He will do a large cleave called 'Grand Sword' and will do a knock back on the tank. Ranged Players should be on the lookout for 'Magitek Ray' and get out of its path. Magitek Ray - Shot of fire on random ranged player.